The iOS operating system is for both iPhones and iPads. 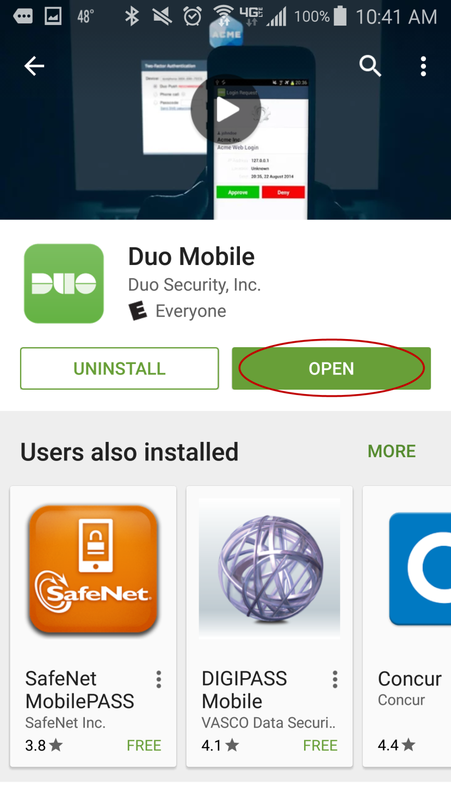 Start by visiting your App Store and searching for Duo Mobile. 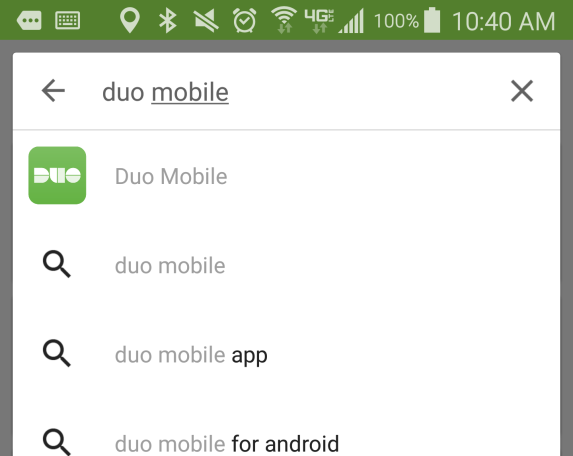 Duo Mobile should be the first option in your search results. Click the Get button to get and install the application. 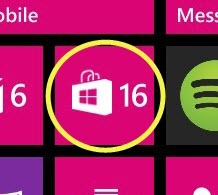 Once the application has been successfully installed you will see an Open button. Click the Open button to open the application and start the setup process. The first screen you will see will inform you that the application would like to send you notifications. Click either yes or no depending on if you want the application to send notifications. Next you will may be asked if Duo Mobile can access your camera. This is important as one method of device registration is scanning a QR Code, so you will want to say Yes. You will then be presented with the License Agreement. Please read through and click the Accept button at the bottom. At this point you should be ready to add an account to the device. Please see the article Duo - Registration Setup for details on registering your account. 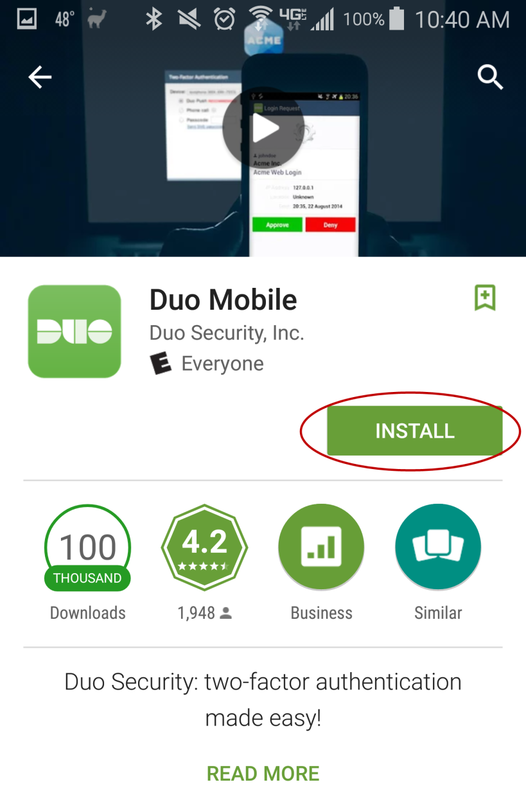 Installing the Duo Mobile application on your Android device is similar to installing any other application. 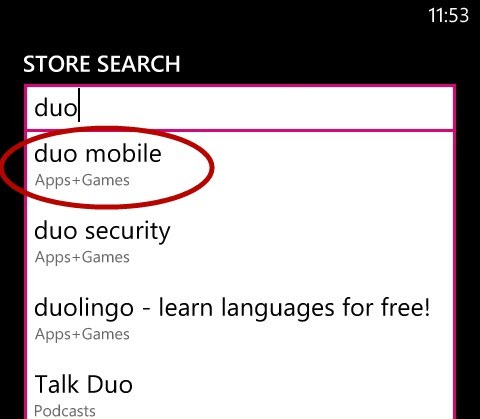 Start by opening your store and searching for the Duo Mobile application. 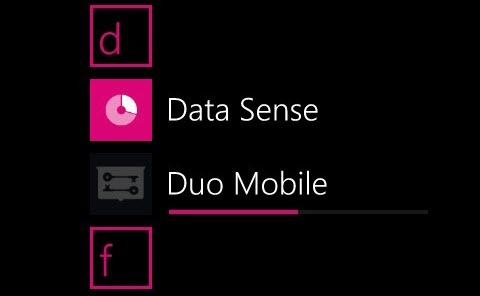 From the search results screen click on the Duo Mobile application to see the details. From the details screen click the Install button to start the installation process. After installation is complete the Install button will become the Open button. Click Open to open the application and complete the installation process. 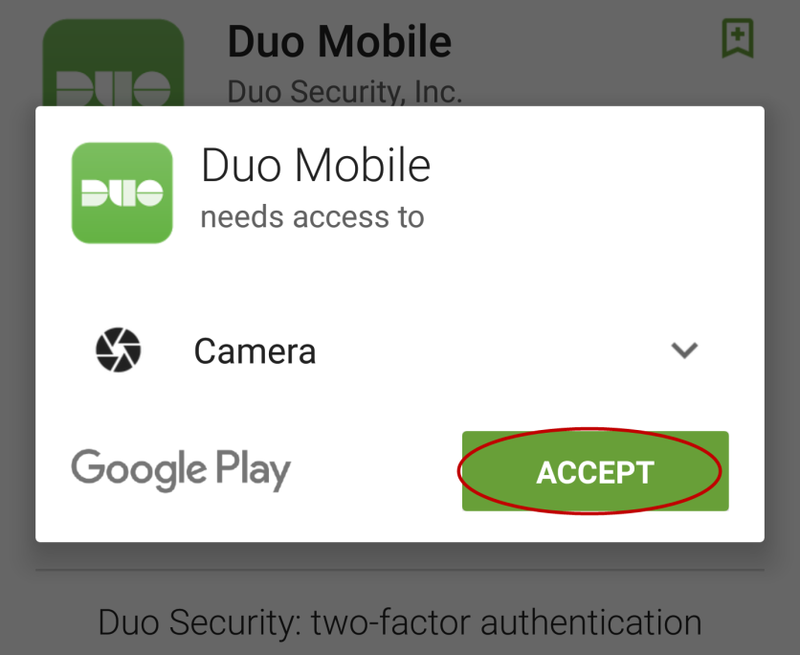 After opening the application, you will be asked if the application can access the camera. You will want to click Accept so that you may scan a QR code when it comes time to register this device with your Duo account. Next you will be presented with the license agreement. 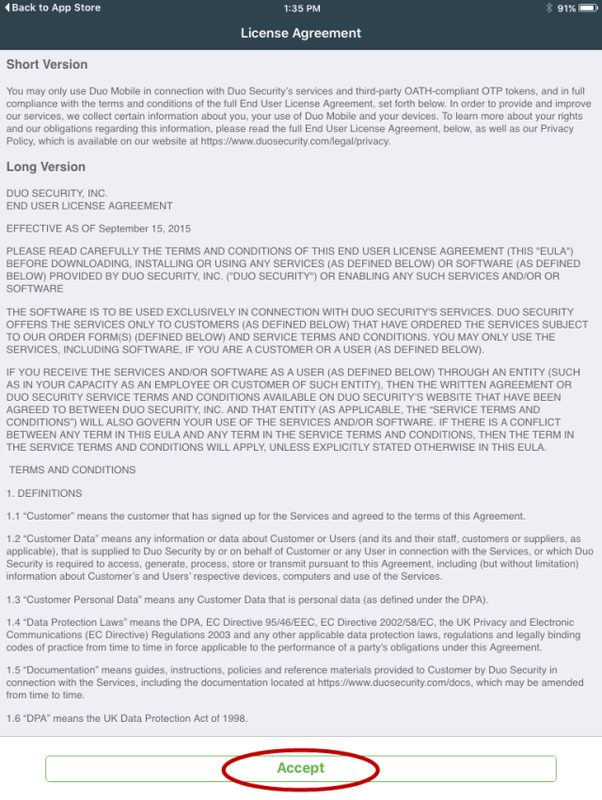 Read through the agreement and click the Accept button to complete the installation process. 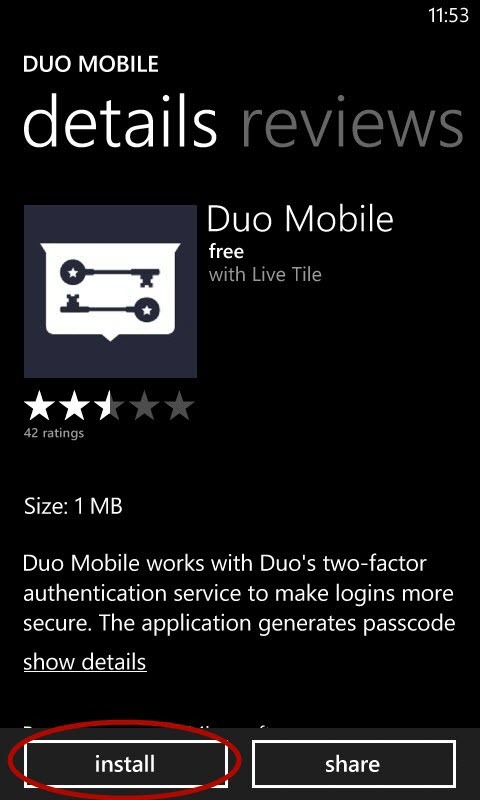 Installing the Duo Mobile application on your Windows mobile device is similar to installing any other application. 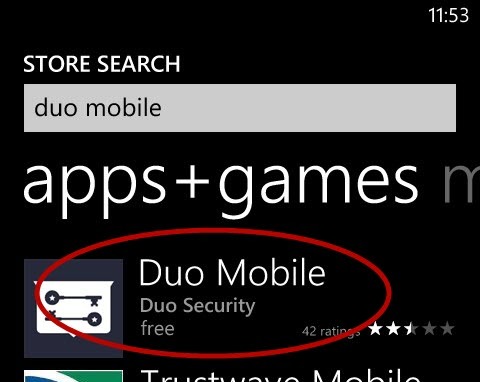 Start by accessing your store and searching for Duo Mobile. 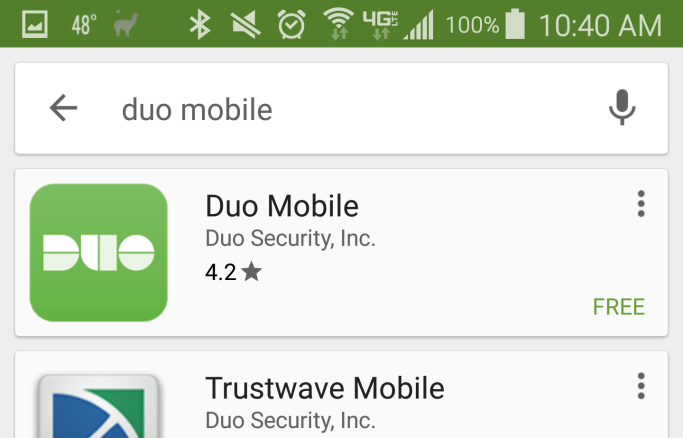 From your search results select the Duo Mobile application to see the details of the app. From the application details screen click the Install button located at the bottom. The installation screen will appear showing you your installation progress. You will need to wait until the application is completely installed and then click on it to open.